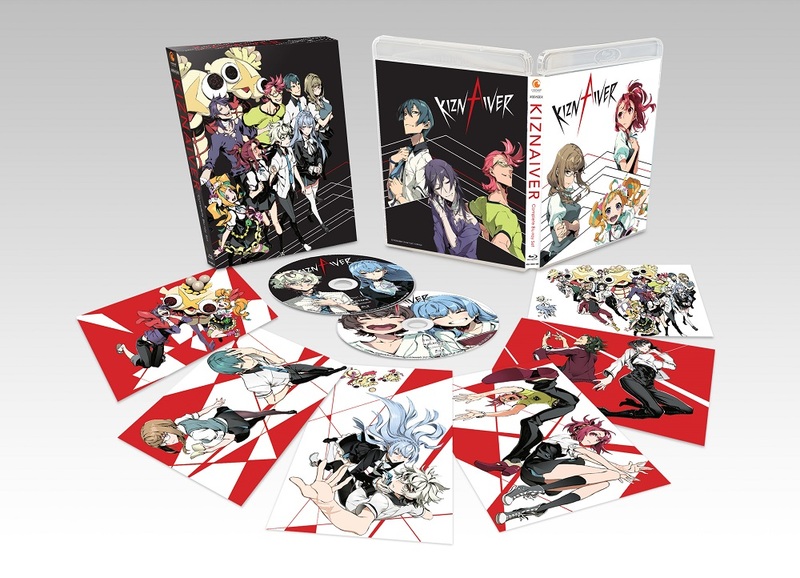 Kiznaiver contains episodes 1-12 plus Collectible Cards illustrated by Shirow Miwa (Original Character Desiginer). An original TV anime series by acclaimed animation studio TRIGGER (Kill la Kill) and the renowned writer Mari Okada (Anohana: The Flower We Saw That Day, The Anthem of the Heart). The story is set in Sugomori-city, built in a reclaimed land, which was once prosperous as a futuristic city. Katsuhira Agata, a high school boy who is living in the city, has a strange body which can feel no pain at all and he doesn't know why. 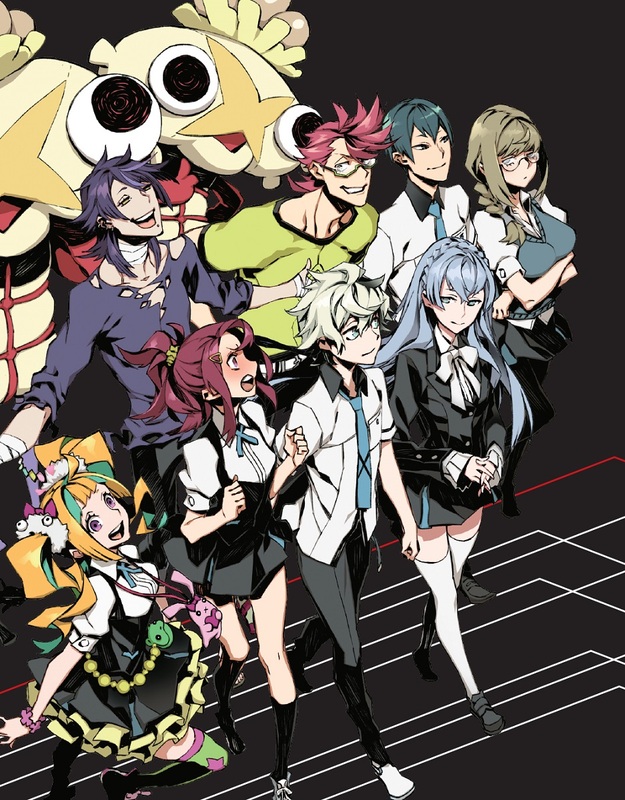 Before summer vacation, by the guidance of a mysterious girl named Noriko Sonozaki, he is chosen as a member of "Kiznaiver," a group of people who share pain. Then he finds his classmates who are also connected as "Kiznaiver," however, they originally belong to different groups that never got along. Sonozaki says, "This is an experiment to guide the world filled with wars to peace." Following her words, they have to face various trials. One summer story of boys and girls who have to share each other's wounds begins. Special Features: Textless Opening, Textless Ending. Overall, I'd give the anime & story a 5-star rating, considering Trigger's heavenly high-production values with solid animation throughout. I'm happy Aniplex and Crunchyroll were able to bring this Stateside. It has a very serious + silliness feel somewhat along the same lines as 'Penguindrum', throws in a seven-deadly/cardinal sins metaphor with a unique, painful twist. On a negative note, and the 4-star rating, unlike most Aniplex releases (think the 'Monogatari' series) the release only comes with a thin set of illustration cards and no booklet. Also, the only bonus content is a textless opening video. What about the many promotional videos Crunchyroll has on their streaming website: a CM, PV, four character videos and nine actor videos. I'm excited Crunchyroll is producing material, but the 'complete set' feels a bit thin and this extra material included. Usually, I am a fan of Aniplex's releases. Expensive,yes, I tend to appreciate the premium feel & extras. Here I am falling to the standard AOA complain - this set is WAY over-priced. Normally you get SOMETHING for the price. An OST, a nice booklet. This set? Flimsy art cards. $60 a Blu Ray, $10 an episode. Flimsy art cards and a slipcase that to me feels slightly cheaper than AOA's usual. That’s it. I assume this is the price of dubbing a show that didn't perform as well as expected in streaming. I really enjoyed the series, so I am helping to support a bad practice of over-charging, but I’m also a person who purchased the Japanese releases as well so… yeah. The series is an interesting watch, animation is bright, clean, and generally good. Story is wacky and the outcome isn’t likely what you expect, but still a legitimately good show. Video and audio quality are impeccable, as always with an AOA release. Wish it didn’t hurt the wallet so much for a skimpy-on-the-extras release.